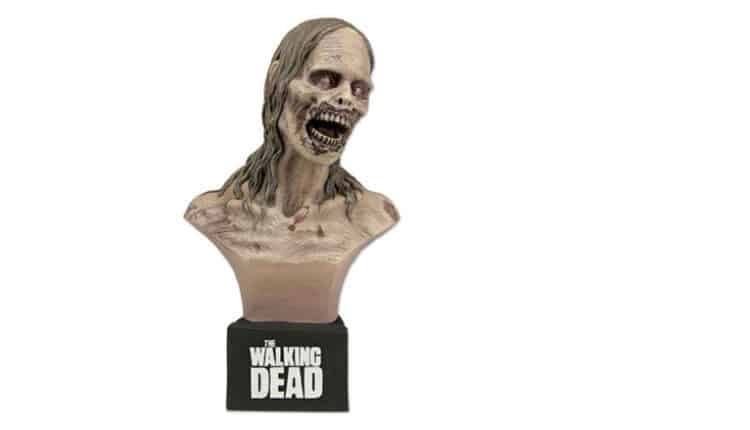 50 Best Zombie Gifts: The Ultimate List (2019) | Nerd Much? 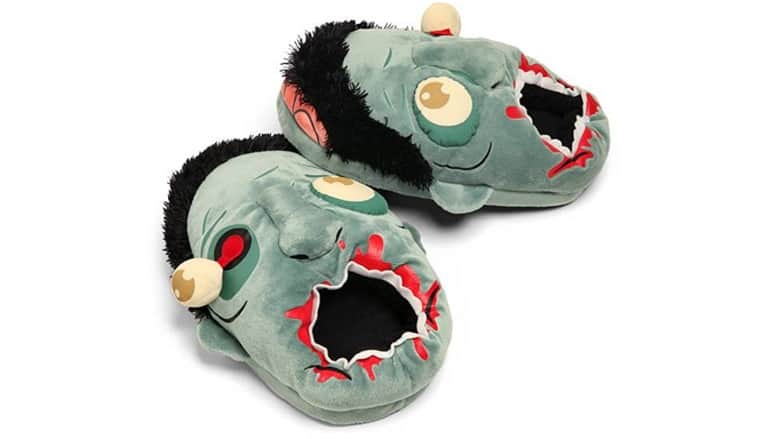 If there’s one thing we love here at Nerd Much?, it’s zombies. 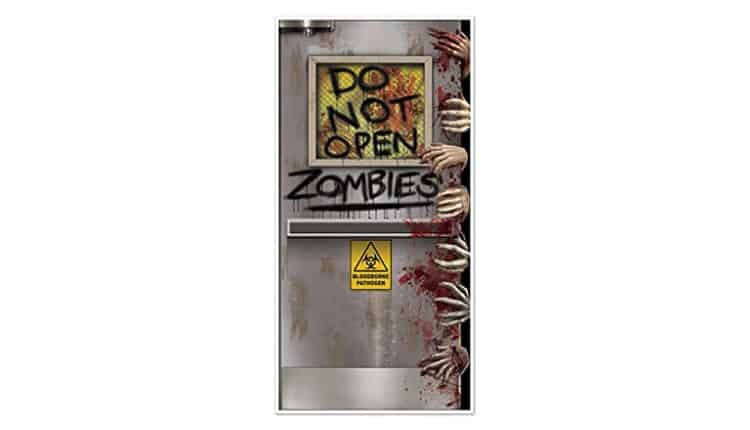 From classic zombie books to new must-see zombie films like Train to Busan to the best zombie games of all-time, it should be no secret that we love chatting about zeds. 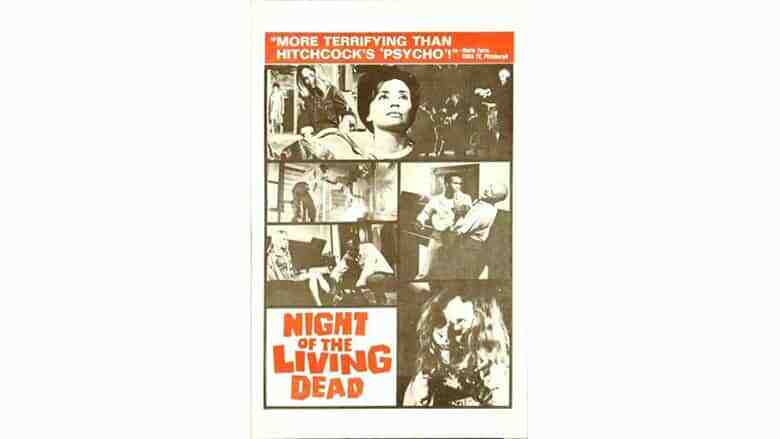 The undead. Walkers. Biters. Creepers. Rotters. And if you know anything about us at all, you know that we love to find ways to inject nerdiness into our everyday lives however we can. In fact, I’d say we’re experts at finding cool nerdy stuff to add to our office shelves, our kitchens, our cars, and anywhere else we can. 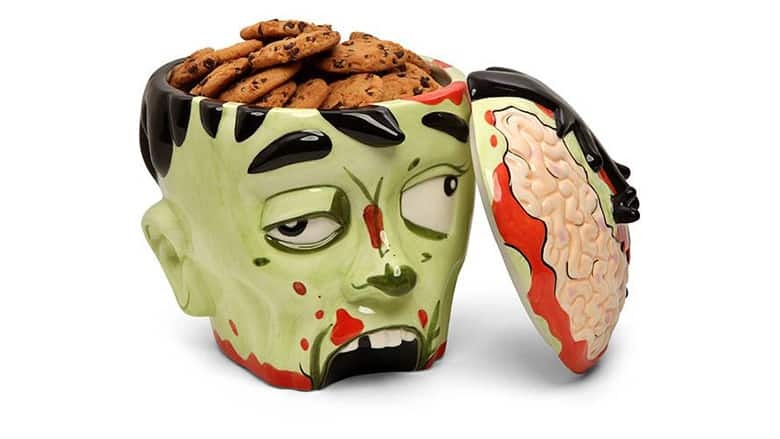 So if you know someone like us who has an unhealthy obsession with zombies, you’re going to want to check out our mega list of the 50 best zombie gifts. 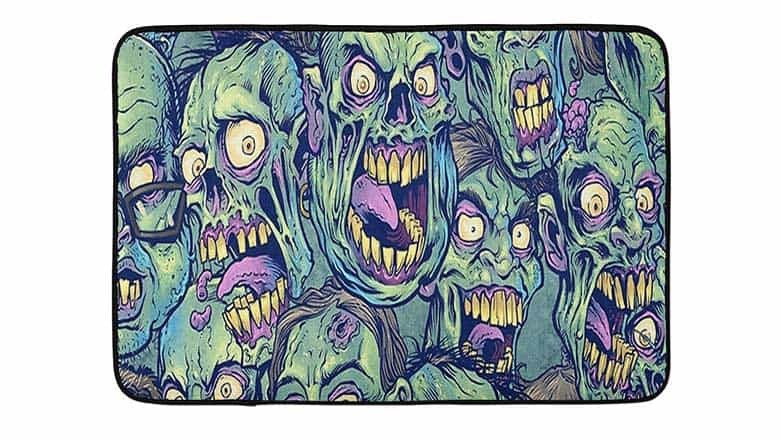 Simply use the slider above to browse all of the different cool zombie things we’ve found at various retailers and online shops around the web. 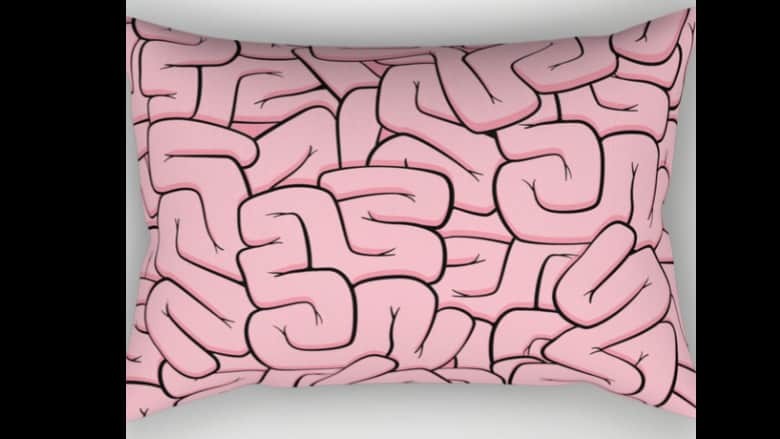 This Guts or Brains Pillow is available in four sizes, so you can have a variety of brains (or guts) scattered around your home in every room. 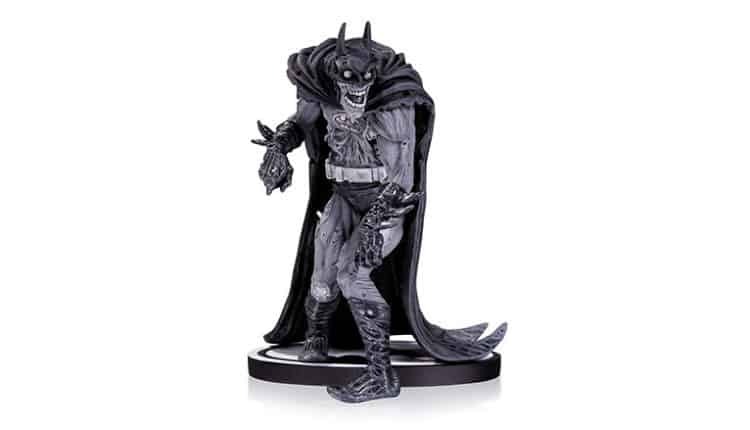 This Zombie Tramp Black and White Statue by Action Lab will look great with the rest of their zombie collectibles, based on the Zombie Tramp comics. Having a wall-hanging bottle opener in your kitchen is essential for happiness. 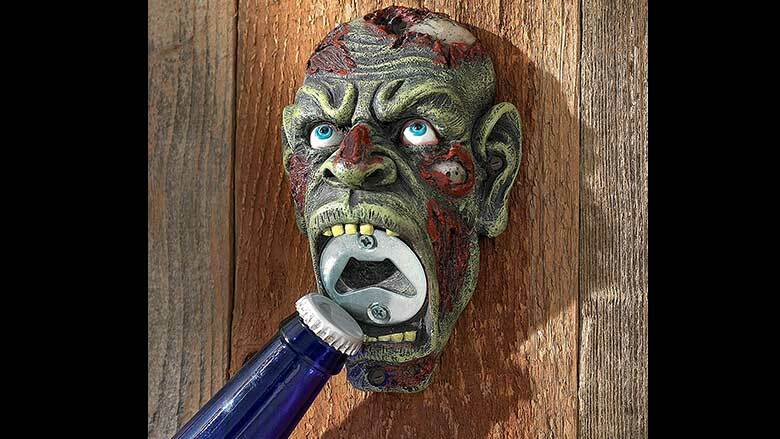 We suggest this Zombie Brew Biter Bottle Opener by Design Toscano. 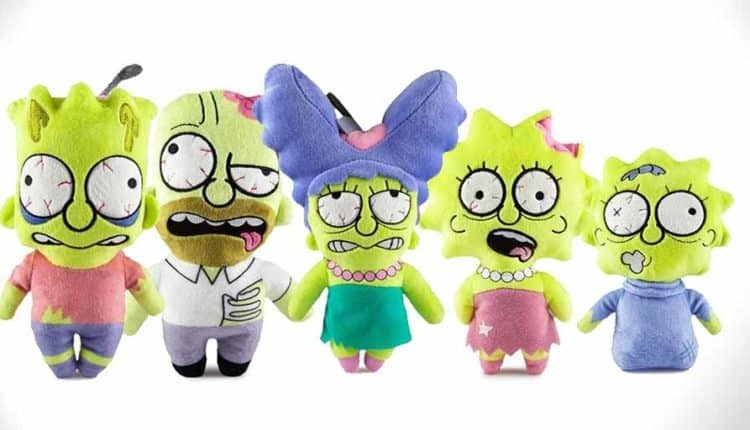 It looks like they’re eating your feet. I’ve never wanted a lunch box more than I do right now — and I work from home! 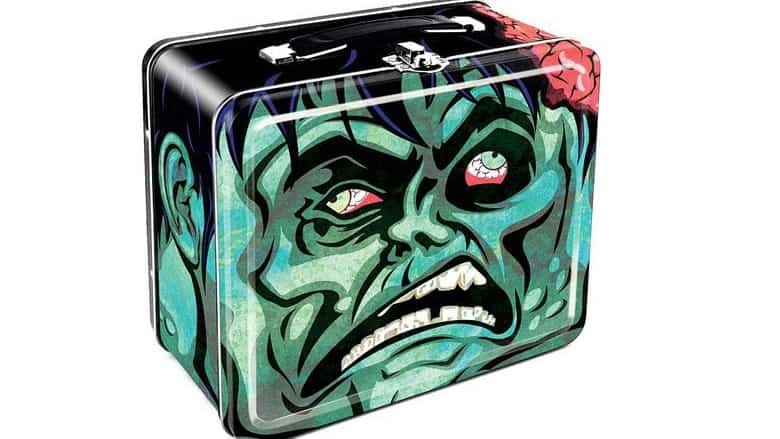 Check out this incredibly well-designed Zombie Head Large Fun Box Tin Tote by Aquarius. 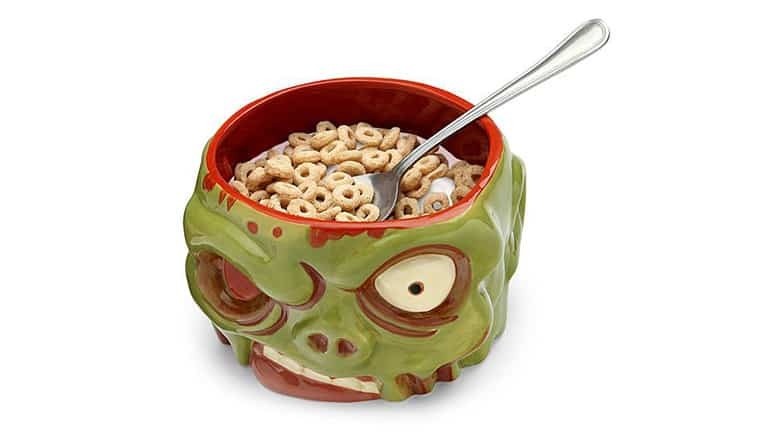 A zombie bowl which allows you to put your food where its brains should be. 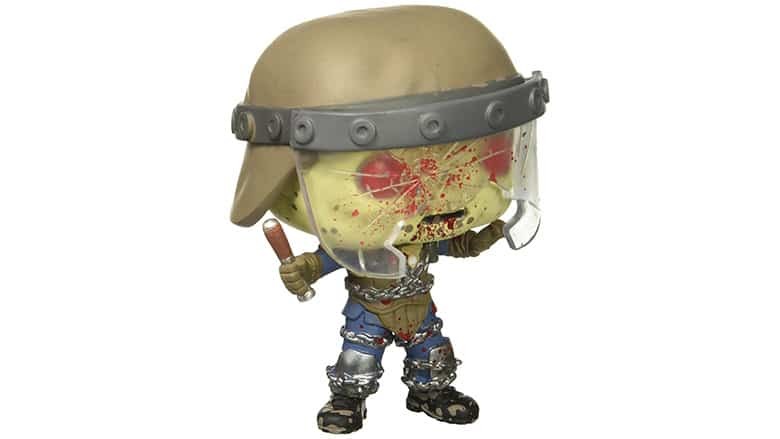 It’s a Funko Pop Vinyl Figure of Brutus from Call of Duty Nazi Zombies. 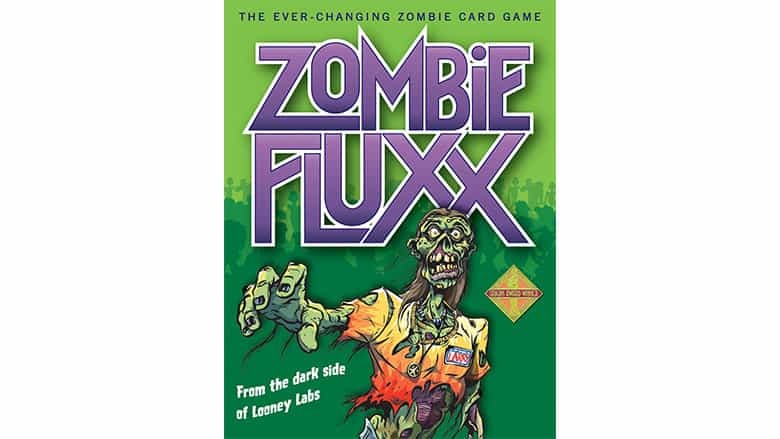 Fluxx is a must-play game with your group of friends, and Zombie Fluxx makes it 10x better. Honestly, have you ever seen anything so delightfully ridiculous in your life? 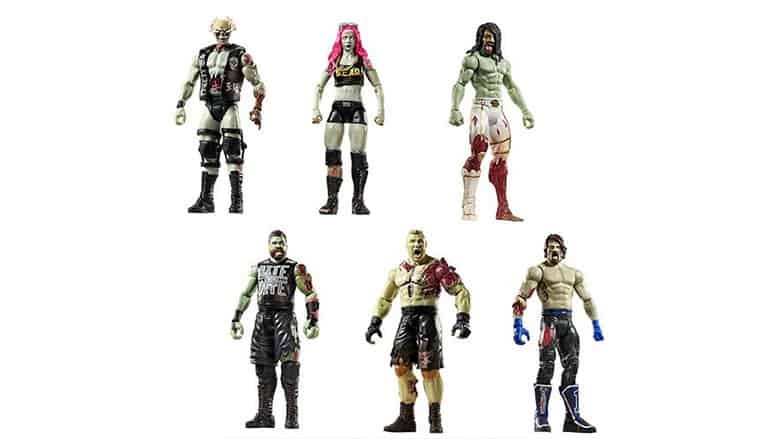 Brock Lesnar, Stone Cold, AJ Styles and more as zombies in action figure form. 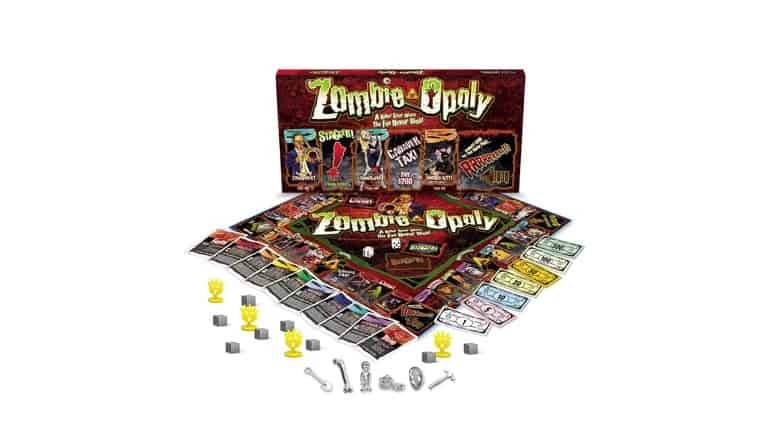 With all of the many different Monopoly sets available, it was only a matter of time before we saw a zombie-themed monopoly game, properly named Zombie-opoly. 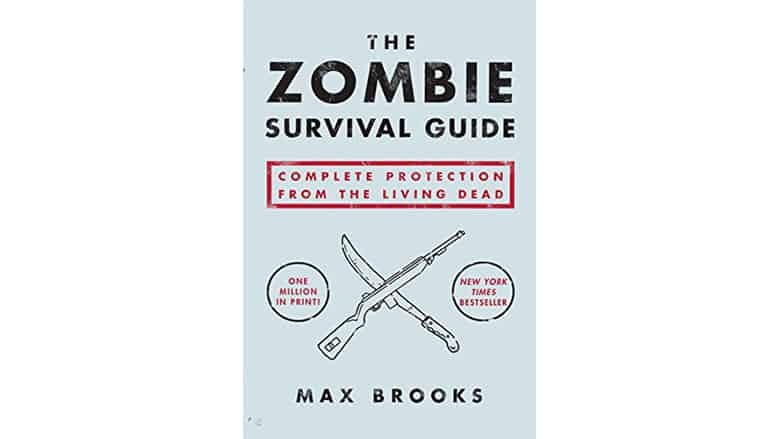 The Zombie Survival Guide by Max Brooks is the CLASSIC zombie gift. 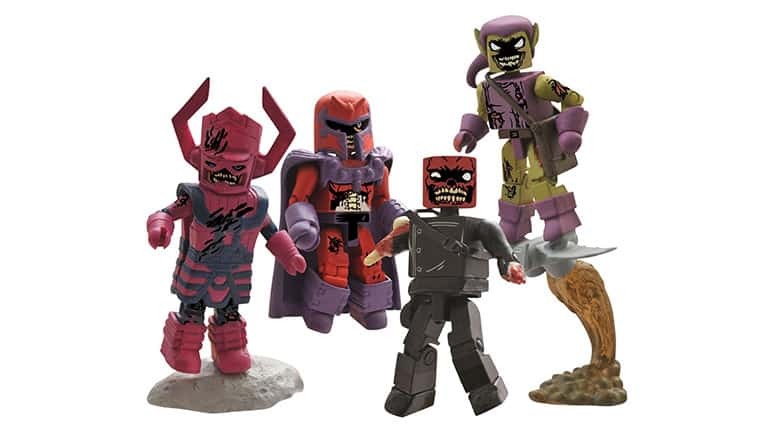 The Red Skull, Green Goblin, Magneto and Galactus all in zombie form, all in adorable minimate figures from Diamond Select Toys. 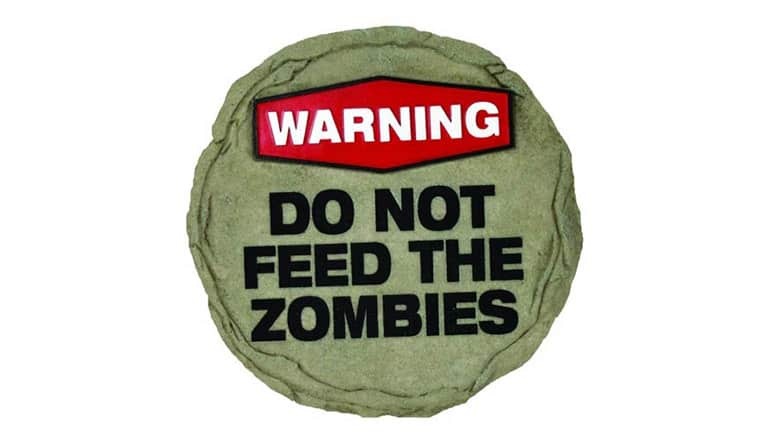 Warn those trying to enter your abode that they probably shouldn’t feed the zombies with the Do Not Feed the Zombies Stepping Stone. 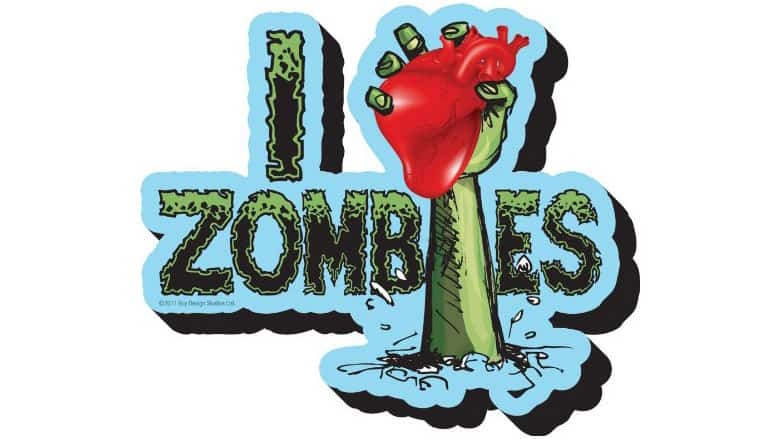 Aquarius’s Funky Chunky Magnets are thicker than the average magnet, and this one says I Heart Zombies (using an actual human heart). 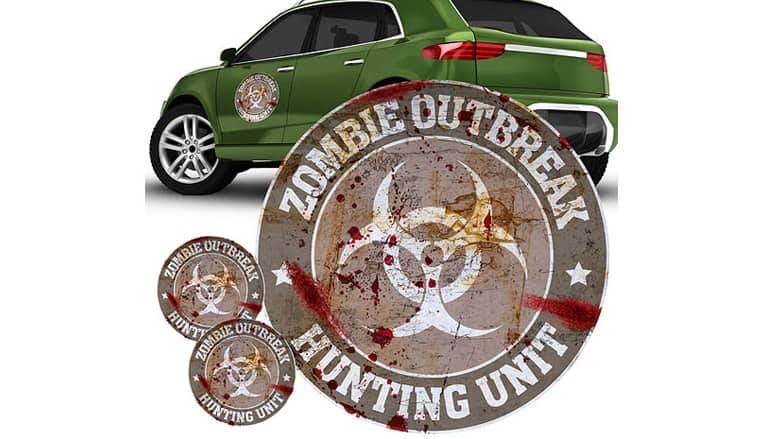 Place these decals on your car to let the world know that you’re part of the exclusive Zombie Outbreak Hunting Unit. It comes with one large and two small decals. 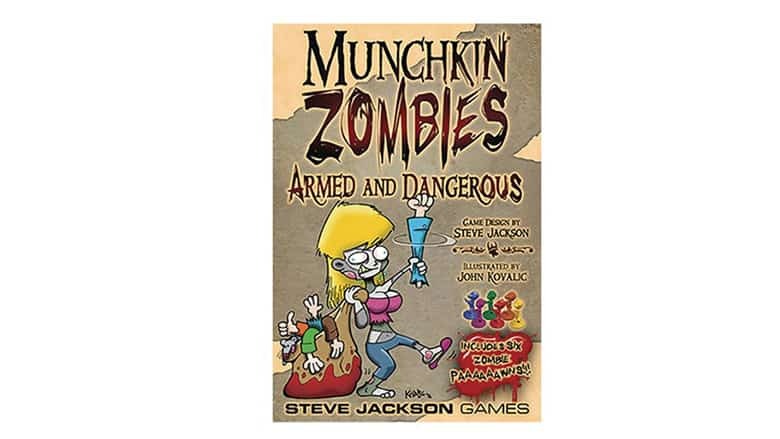 The brand new Munchkin Zombies 2: Armed and Dangerous game is here just in time for the holiday shopping season. 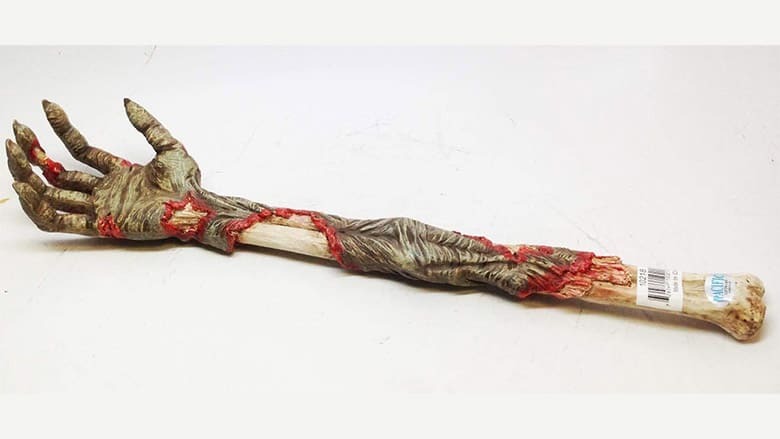 Having a back scratcher is cool and all, but having a Zombie Back Scratcher will make your life 10x nerdier. 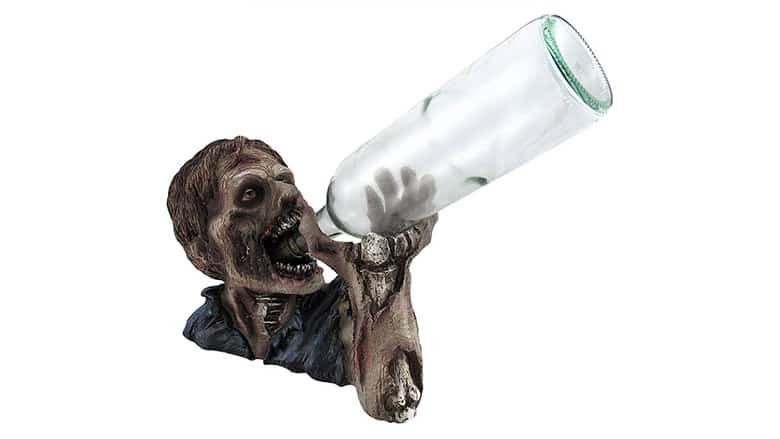 This isn’t for you white wine drinkers, as red wine makes this Zombie Wine Bottle Holder even better. Artist Chris Uminga is known for blending creepy and cute, and he’s done just that with this incredible Superman Zombie Variant Statue. 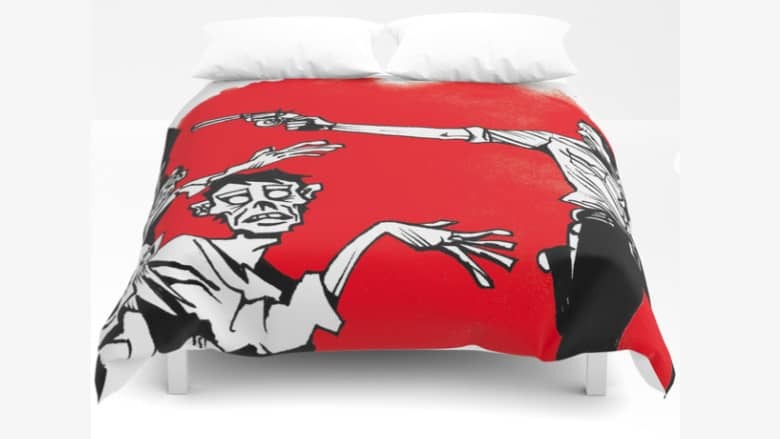 This bold red, white, and black The Walking Dead Duvet Cover is a must. 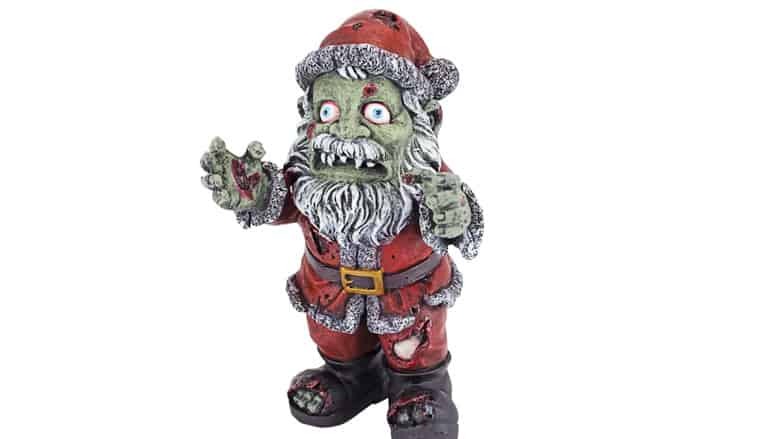 A zombified Santa…can you think of a better Christmas gift for a zombie-lover? 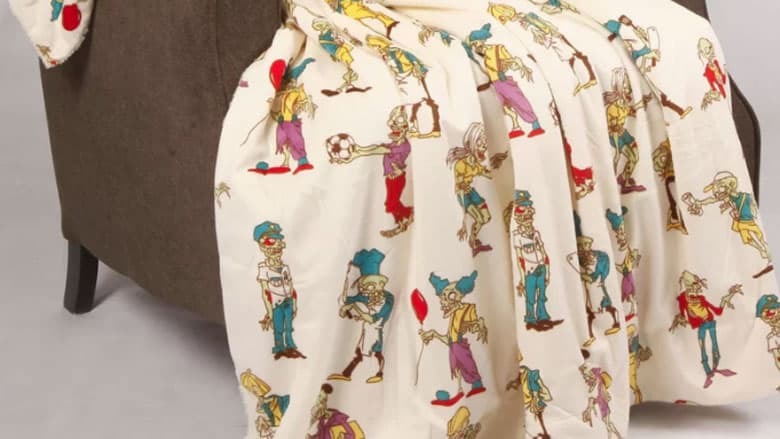 This Zombie Throw Blanket by Boon Throw & Blanket is covered with cartooney zombies on it. 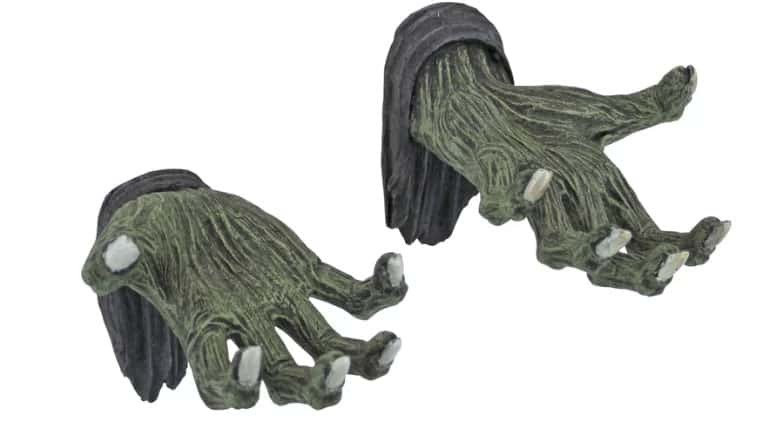 This pair of zombie hands hang on any wall, making them great for the office or the den. 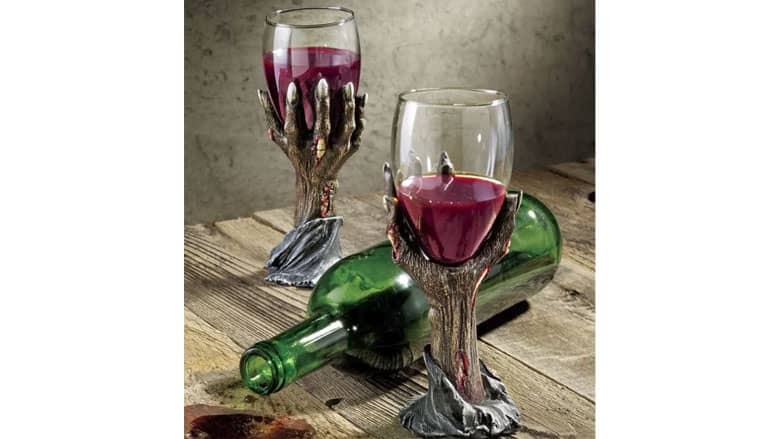 These Zombie Hand Goblets are PERFECT for spooky parties, or if you’re just super into zombies and want a daily goblet to drink from. 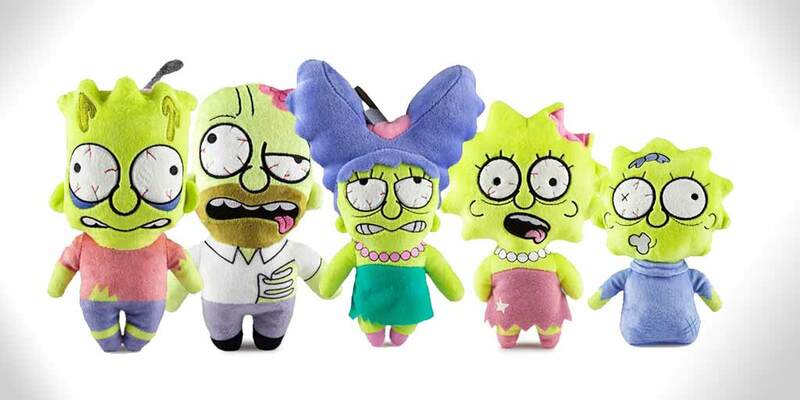 It was only a matter of time before someone created zombified Simpsons of some sort, given all of the series’ incredible Halloween episodes. 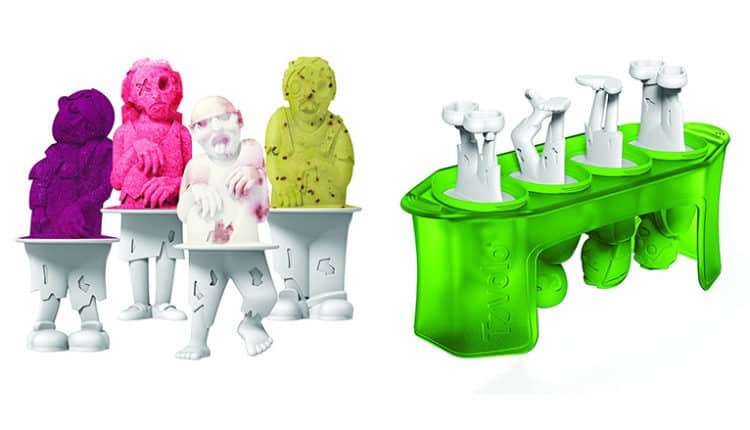 Leave it to KidRobot, who has quite a catalog of dope toys. 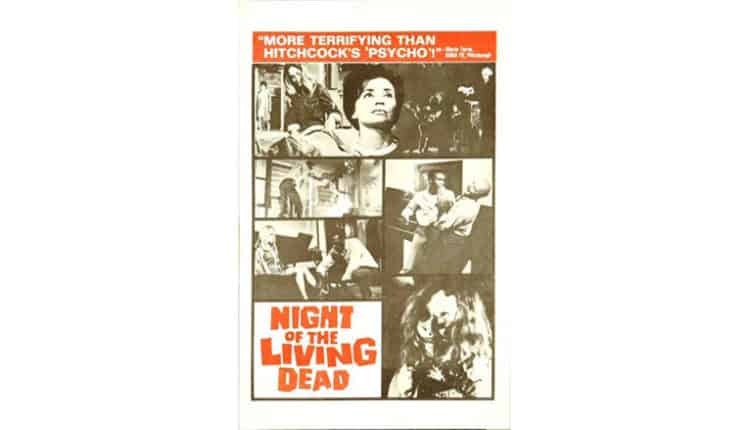 In many cases, the original 1968 movie poster for Night of the Living Dead will make a great gift. 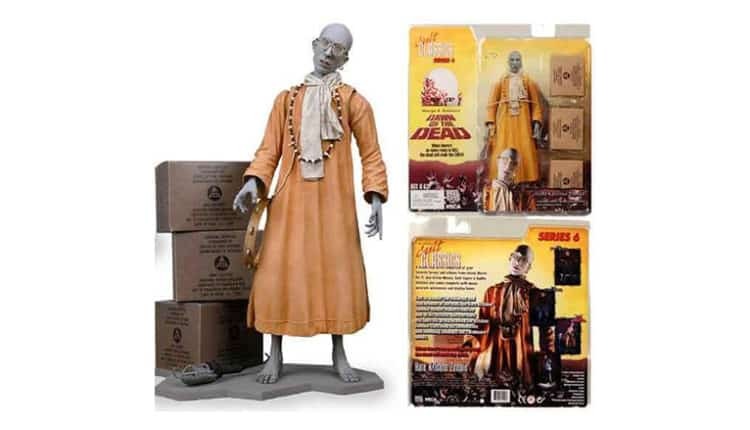 One of the most memorable zombies in movies from Dawn of the Dead, recreated in a 7-inch action figure. 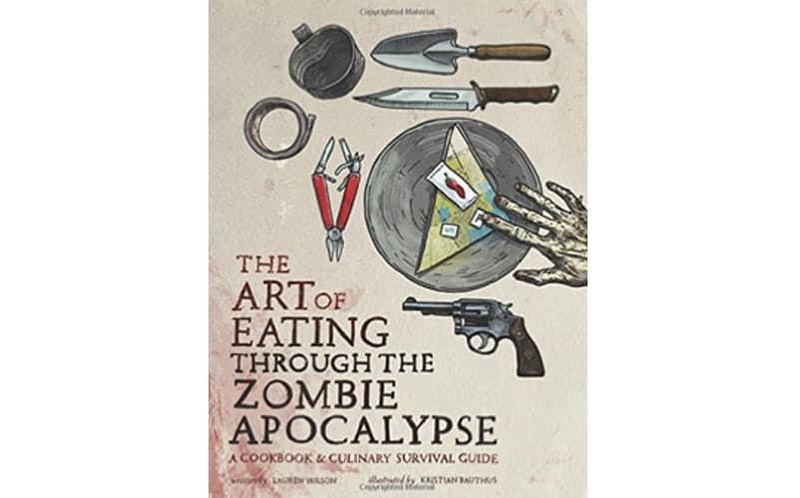 A brilliantly witty zombie-themed cookbook — the paperback makes for a great coffee table book. 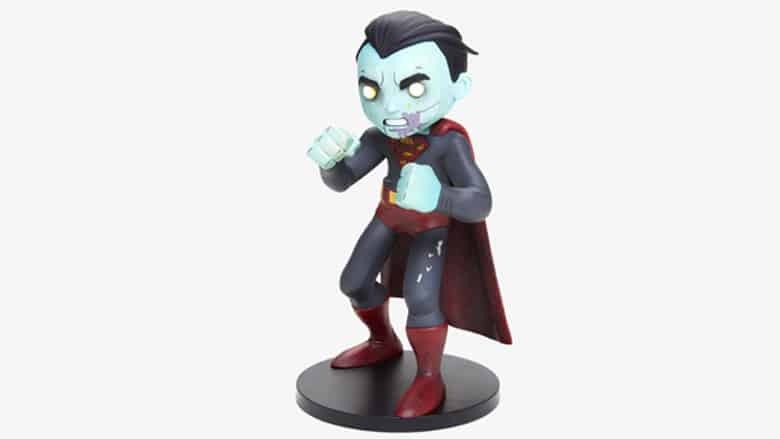 These little zombie vinyl figures, called Zombie LittleLazies, are super cool. 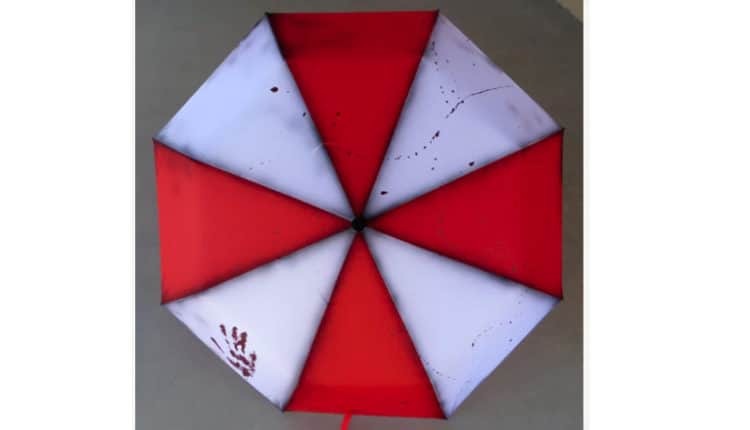 This incredible zombie-themed umbrella is the best we’ve found so far, complete with an Umbrella Corp. style and a bloody red zombie hand. 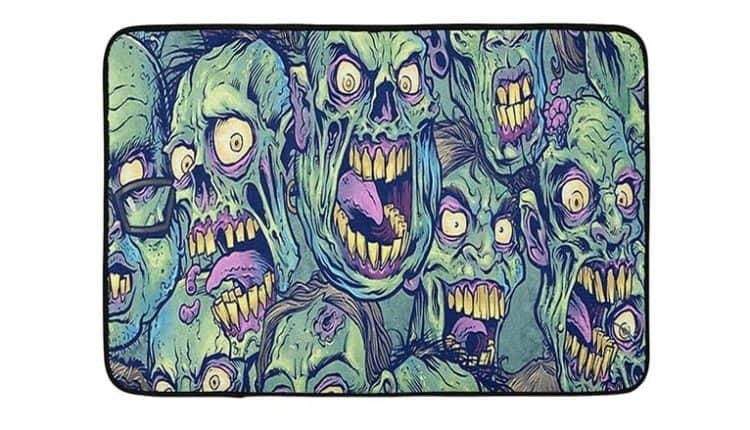 A brilliantly-designed zombie-themed bath mat makes any bathroom horrific. Do Not Open – Zombies! This is a super highly-rated door cover that fits standard doors. 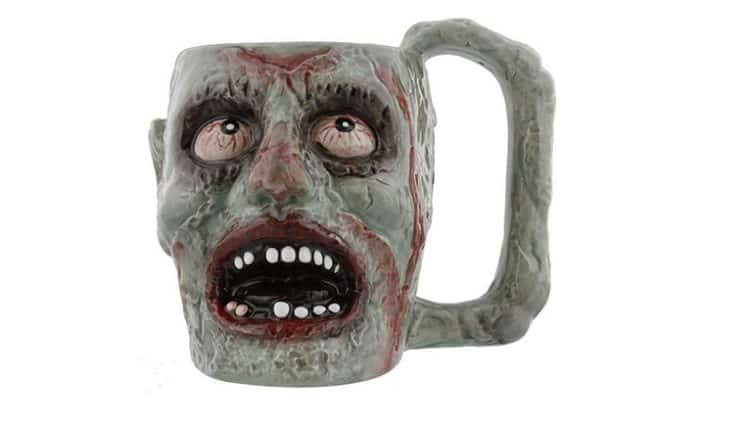 This quality ceramic zombie head coffee mug by Pacific Giftware is one of the best-rated zombie mugs on Amazon. 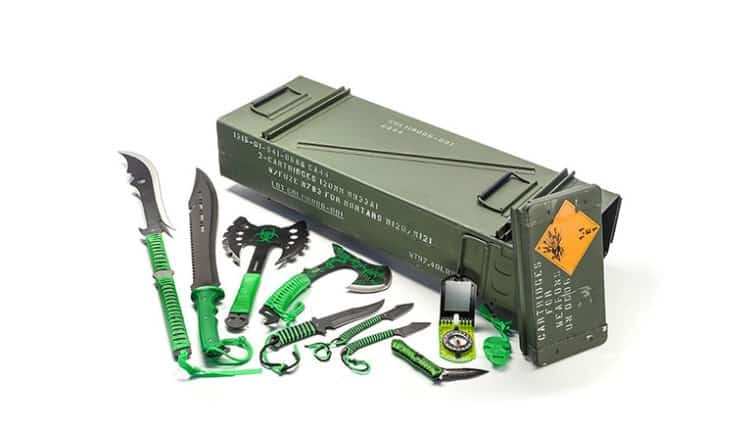 For the advanced zombie enthusiasts/doomsday preppers, check out this Acme Crate Zombie Warrior kit which comes with all of the handheld weapons they’ll need if a zombie apocalypse were to break out. 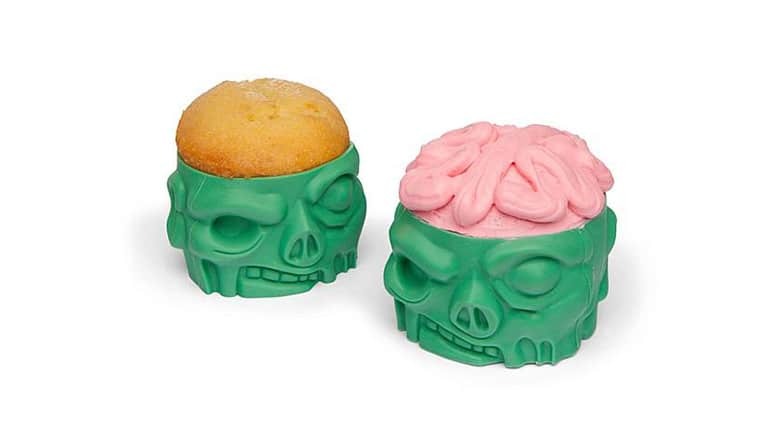 For the less-advanced zombie enthusiasts, you can’t go wrong with simple zombie kitchen stuff — like these zombie pop molds. 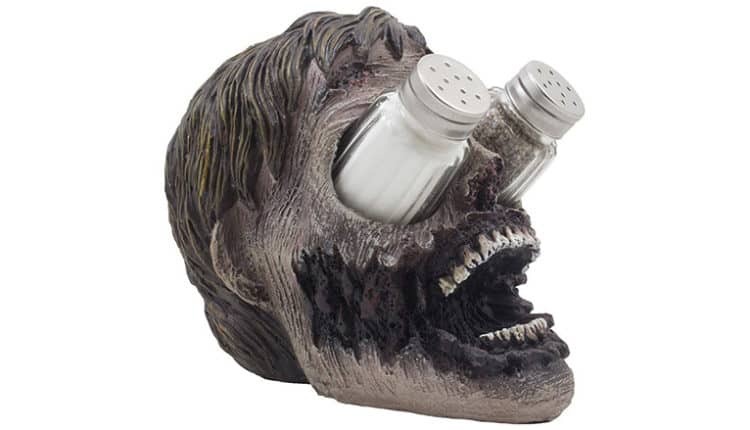 Another great zombie kitchen accessory is the Zombie Head Salt & Pepper Shaker Holder Set. Don’t buy this if you have kids. Seriously, don’t do it. 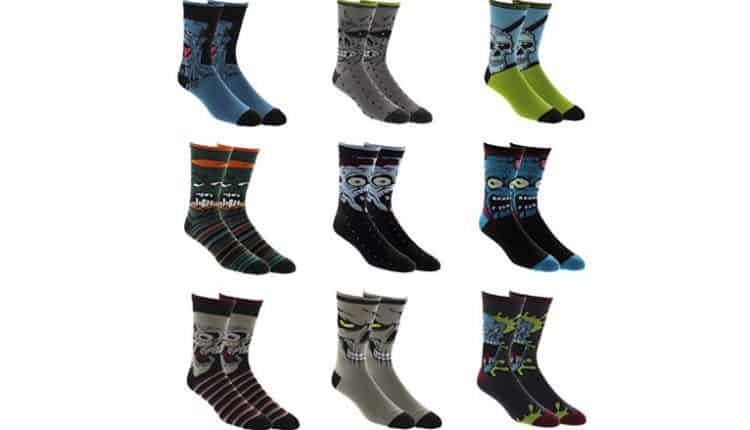 Easily the best zombie socks on the market right now – comes in a pack of 9. Yes, this is absolutely a thing. 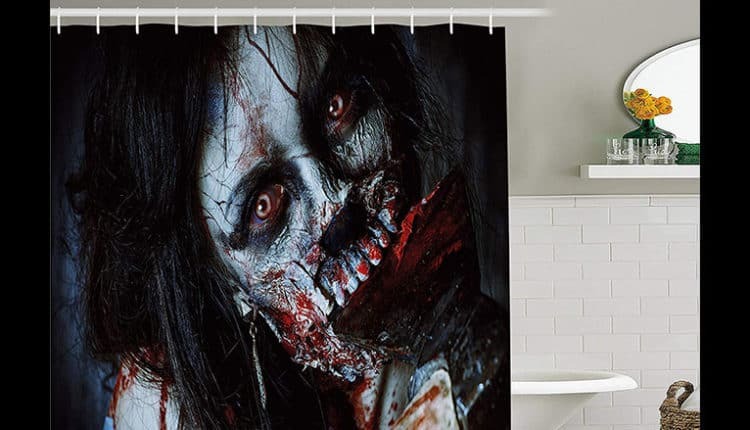 And if you love zombies too, you’d totally understand why anyone would want this in their bathroom. 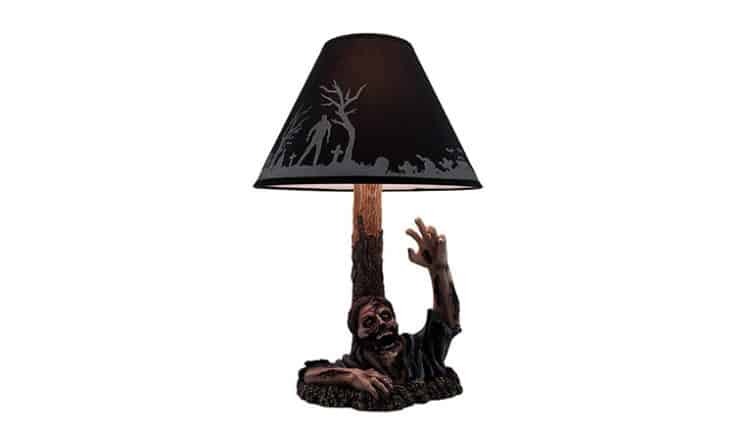 This zombie table lamp is made of resin. 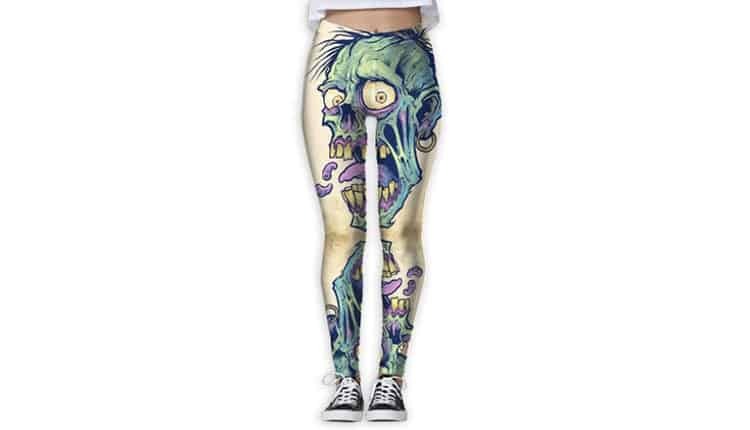 Hilariously poor placement of the giant zombie head, but they’re still an awesome pair of zombie leggings, right? 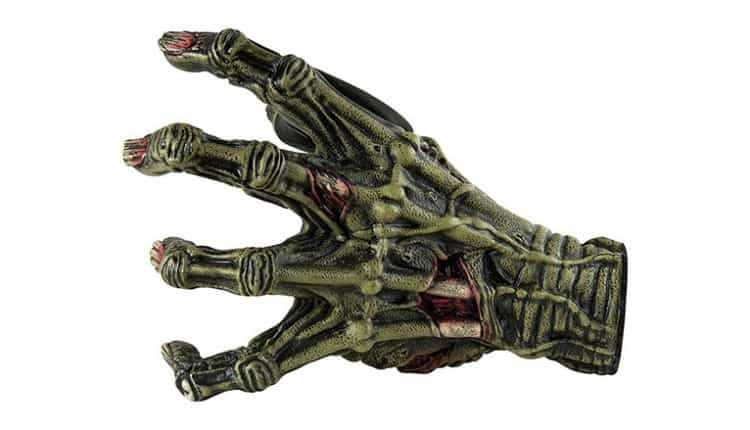 Let them hang their guitar in style with the Zombie Han Guitar Hanger, which is a hand that protrudes from the wall. Batman and zombies go so well together. 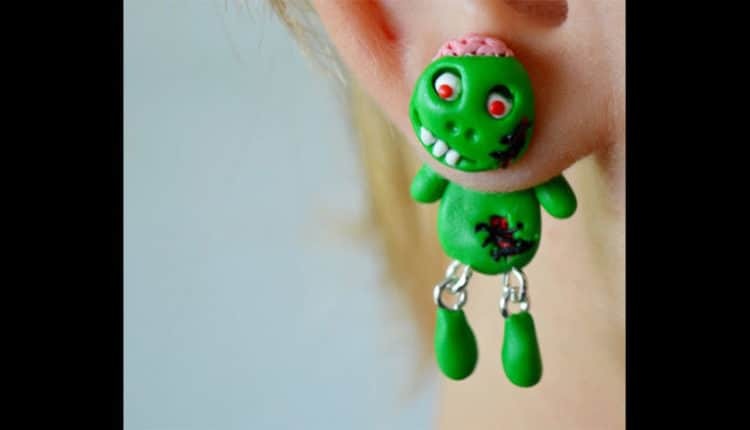 These green zombie earrings are super cute. 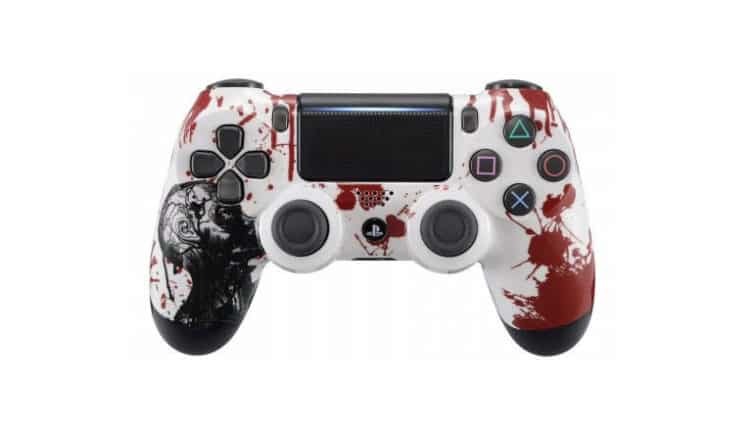 A zombie-themed modded PS4 controller, anyone? 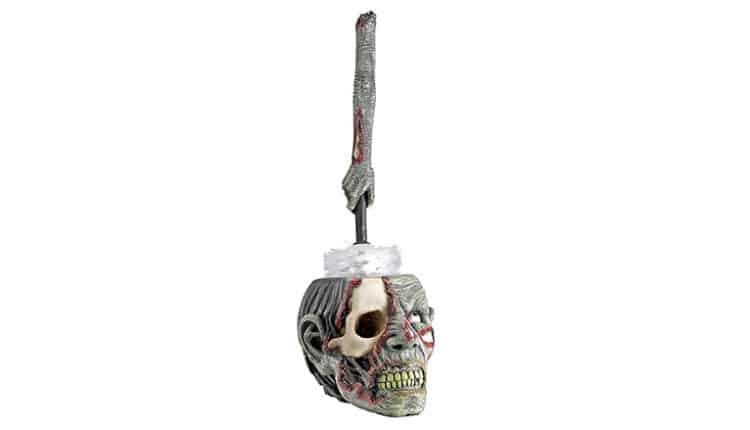 Blood splatter and a zombie head. 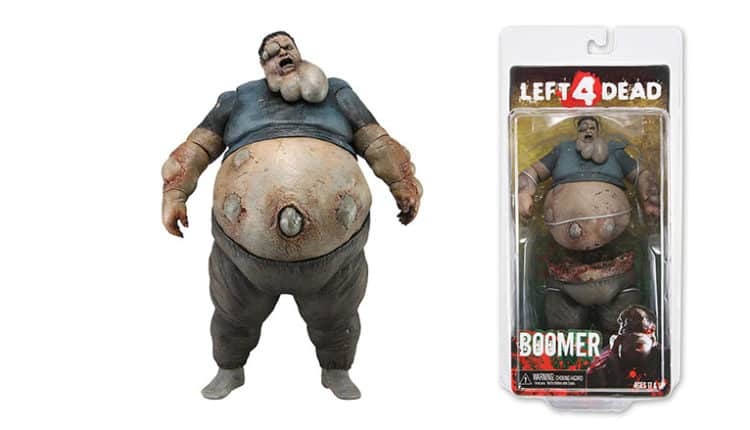 Boomers were pretty gross, so it should be no surprise that the statue by NECA looks so delightfully revolting. The most iconic and memorable walker from The Walking Dead is commemorated with this expertly crafted bust by NECA. 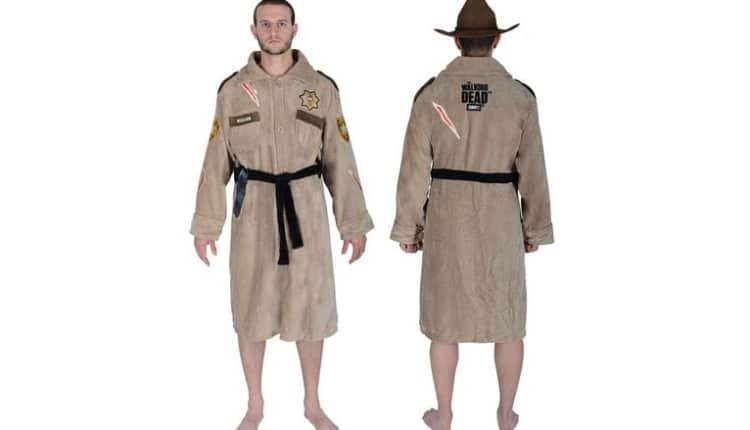 Pretend to be Rick Grimes, himself, with this Rick Grimes Bath Robe. The Nerd Much? Podcast – Episode 3: How Many Game Trailers Do We Actually Need?